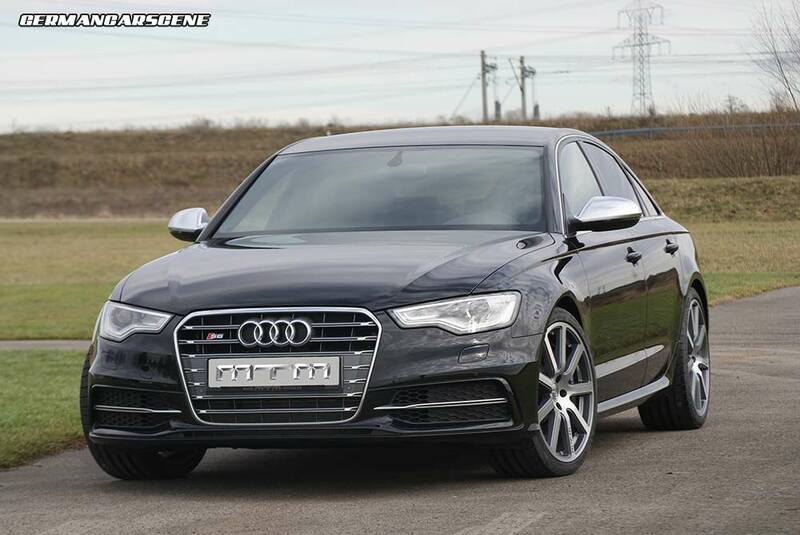 Wettstetten-based tuning specialist MTM has revealed its new program for Audi’s feisty S6 model. MTM’s power upgrade uses a combination of its M-Cantronic with the V-Cantronic – in one unit. Controllable via the car’s multi media interface (MMI) system, the conversion means output from that twin-turbocharged 4.0 TFSI V8 can be switched from 309 kW (420 hp) and 550 Nm of torque to 414 kW (555 hp) and 700 Nm, taking it into Audi RS 6 territory with a 290 km/h (180 mph) top speed. Pricing for the conversion stands at €3,700, with the stainless steel exhaust system costing an additional €4,300. Other components on offer include the F-Cantronic lowering module for €2,000, which drops the S6 by 25 mm at the front and 20 mm at the rear, along with the company’s familiar Bimoto alloy wheel sets priced between €2,100 and €5,300. Details of a big brake kit will follow shortly. We all know that Jamiroquai’s Jay Kay has a car collection to be greatly envious of, but it’s about to get lighter, to the tune of one BMW E30 M3 Evo 2. 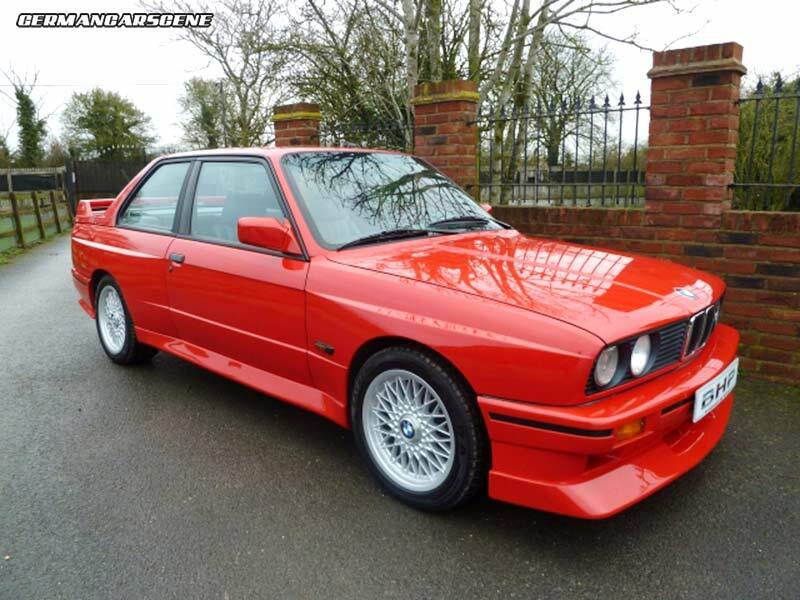 Number 261 of 500, the Misano Red M3 has covered 77,000 miles and looks pretty immaculate for its age, although it has had restorative carried out by Munich Legends. As you’d expect from a vehicle of this stature, it comes with two box files of documentation, photographs and history, along with the original service book and owners handbook. 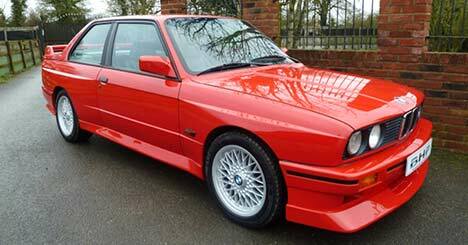 Priced at £39,995 (€46,650), we’ve always loved these machines, but that’s M3 CSL money. Powered by a 2.3-litre four-cylinder, the Evo 2 was de-catted and featured revised camshaft profiles, pistons and cylinder head intake ports, along with remapped software and a lighter flywheel, resulting in 160 kW (220 hp). Other differences include a deeper front spoiler and additional rear spoiler, larger 7.5 x 16-inch alloy wheels, thinner rear and side window glass and a lighter bootlid. 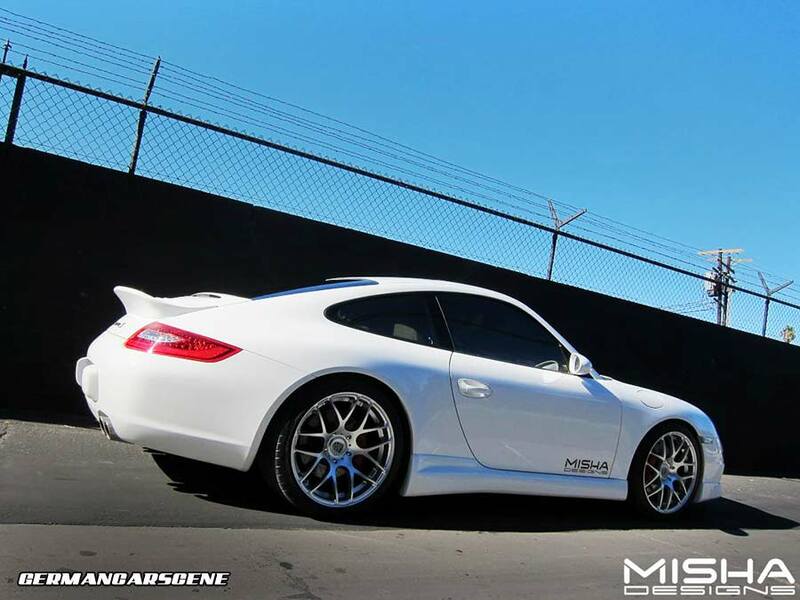 Following requests from too many customers to ignore, Californian styling specialist Misha Designs has developed a ducktail rear spoiler to suit the Porsche 997 and 997.2 models. The front lip is also available to buy as a separate piece, while the GTM2 side skirts will form part of a new aero package set to go on sale later in the year. 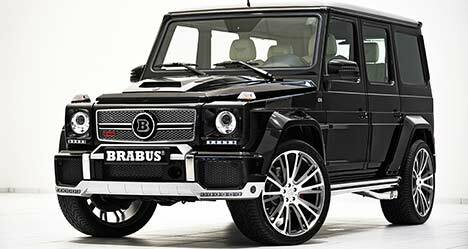 Bottrop tuning specialist Brabus has released details of its 800 Widestar program for the Mercedes-Benz G 65 AMG ahead of its world debut at the 2013 Qatar Motor Show. Powering the nutty SUV is a tweaked version of that 6-litre V12 biturbo engine, which already develops a colossal 450 kW (612 hp) and 1000 Nm of torque in factory form. The performance upgrade comprises of custom made exhaust manifolds housing a pair of uprated turbochargers, remapped ECU software, a new exhaust system with high-flow cats and side exit tailpipes, and four water-to-air intercoolers. Those changes result in 588 kW (800 hp) and 1,420 Nm (limited to 1,100 Nm), which equates to a 0-100 km/h time of just 4.2 seconds and a limited top speed of 250 km/h (155 mph). 270 km/h (168 mph) is possible – without the limiter. Visually, the G-Wagen wears a carbon fibre hood vent, a front spoiler with integrated LED lights, radiator grille insert with Brabus emblem, fender flares adding 12 cm to the vehicle’s width, stainless-steel running boards, roof spoiler and a rear fascia with underride guard. 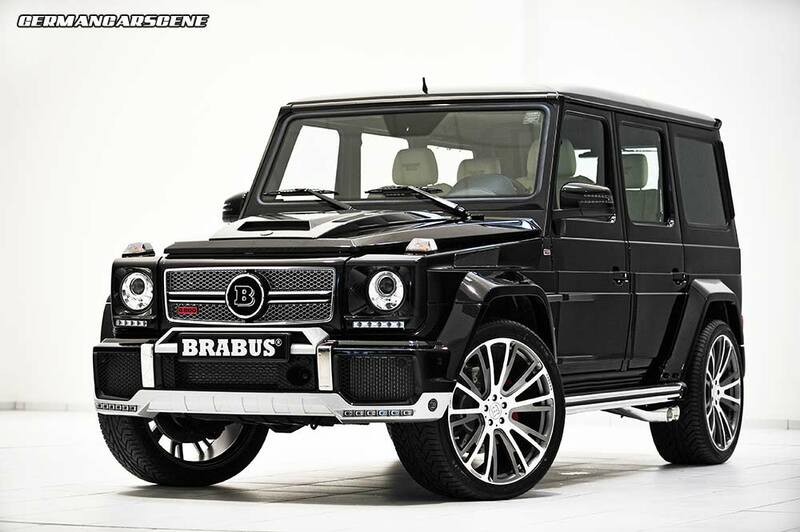 Brabus offers its usual wide range of alloys wheels, including the Monoblock R designs pictured, which measure 11 x 23-inches, while the Brabus Ride Control suspension system, featuring automatic damper adjustment, detects speed and lateral forces before choosing the optimal setting for the situation. Moving inside, past the backlit stainless steel scuff plates, Brabus uses materials such as soft Mastik leather or Alcantara aluminium to reupholster the seats and panelling, along with components such as wooden inlays, alumnium pedals and velour floor mats. 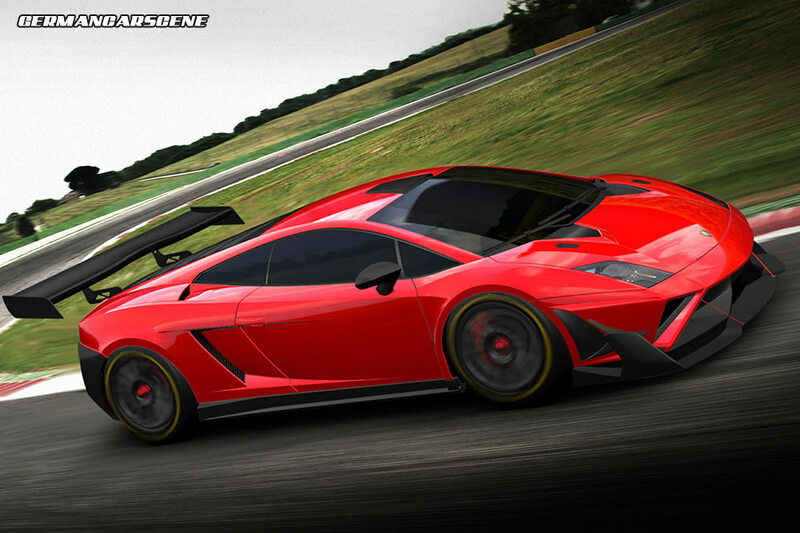 Lamborghini has announced a GT3 motorsport program for the 2013 and 2014 seasons with the introduction of the new Gallardo GT3 FL2. Developed jointly between Reiter Engineering and Lamborghini’s R&D motorsport department, it will be based on the newly facelifted Gallardo and feature optimized engine cooling, reduced fuel consumption, ‘24-hour’ brakes and a new aero package including a revised version of the Super Trofeo diffuser. A 25 kg weight saving over its predecessor helps to improve the car’s power-to-weight performance. German-based Reiter Engineering has enjoyed a successful track record with its own Lamborghini GT cars since 2000, securing a total of 199 victories and 350 podium positions within GT championships. racing success,” said the Lamborghini President, Stephan Winkelmann. Pricing for the GT3 FL2 has been set at €320,000 (plus taxes), with deliveries to teams in Europe and Asia beginning in March. 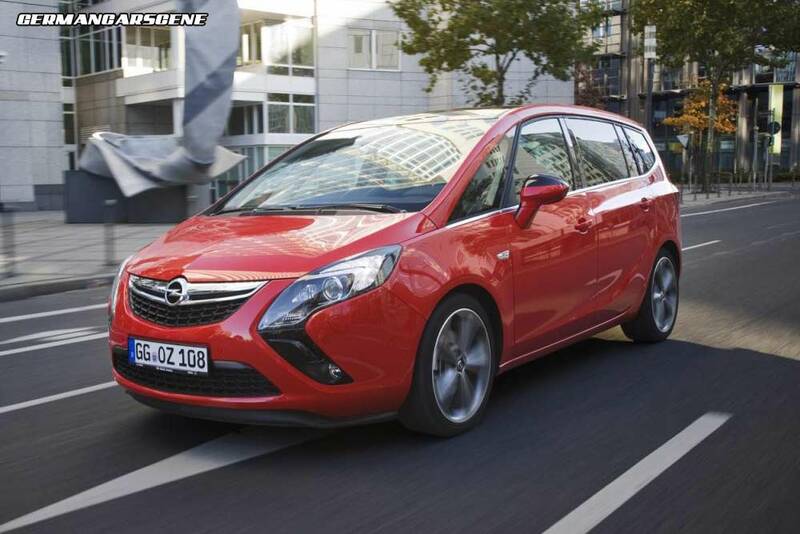 Following on from the super-frugal LPG version, Opel has added a 2.0 CDTI BiTurbo option to its Zafira Tourer range, making it the fastest diesel-powered seven-seater in the compact van segment. The 2.0 CDTI BiTurbo develops a maximum 143 kW (195 hp) and 400 Nm of torque, meaning 100 km/h appears in just 8.9 seconds, with the engine’s elasticity allowing the trip from 80 km/h to 120 km/h to happen in a mere 8.5s. Top speed is 218 km/h (135 mph), while the combined cycle fuel consumption works out at 5.6 l/100 km. 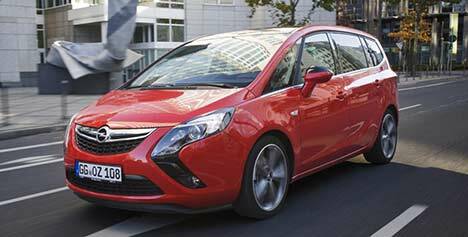 The Zafira Tourer BiTurbo is available to order from today, with prices starting at €35,405 and deliveries beginning in April.